Johnny Mok SC is a door tenant of Brick Court Chambers who is based in Hong Kong, practising principally from Des Voeux Chambers. In his early days as a law student at Hong Kong University he won the coveted Winner's Cup at the Law Faculty's Mooting Competition and represented Hong Kong in the initial two years of its participation in the International Jessup Moot Court Competition, as well as various Baker & McKenzie prizes for his distinctive performance. He has won plaudits particularly for his work on public and administrative law and has been appointed by the Hong Kong Government (and by the PRC Government) to fill a host of responsible positions including an appointment by the National People's Congress of the People's Republic of China to be one of 12 members on the Basic Law Committee. He produces "incisive and combative work in the commercial and judicial arenas" (Chambers & Partners 2010) and is regarded as a bit of a legal wizard and a solid advocate generally. In 2006, Mr Mok was appointed as Senior Counsel by the Chief Justice of Hong Kong. Mr Mok regularly receives quality instructions to advise and represent the Government of Hong Kong and numerous public bodies (including the Hong Kong Monetary Authority and the Securities and Futures Commission). For example, in 2007, he represented the then Secretary for Education and Manpower and former Commissioner for the Independent Commission Against Corruption in a public inquiry on allegations concerning the Hong Kong Institute of Education. In 2007, he was appointed by the Hong Kong Government to represent the then Secretary for Education and Manpower and former Commissioner for the Independent Commission Against Corruption in a public inquiry on allegations concerning the Hong Kong Institute of Education. In June 2008, Mr Mok was appointed by the National People's Congress of the People Republic of China (NPC) to be one of the 12 members of the Basic Law Committee to advise the NPC on matters relating to the Basic Law of Hong Kong. In 2009, Mr Mok was appointed by the Hong Kong Monetary Authority to represent him in the inquiry conducted by the Legislative Council into matters relating to the Lehman Brothers Minibonds. In 2010, Mr Mok was appointed as an advisor to the Bauhinia Foundation Research Centre, a Hong Kong-based think-tank which conducts researches, talks and networking activities relating to public policies concerning Hong Kong and the mainland China. He regularly works with leading Counsel from the UK and has co-authored a book entitled Judicial Review in Hong Kong with Richard Gordon QC of Brick Court Chambers in London, which was published in late 2010. 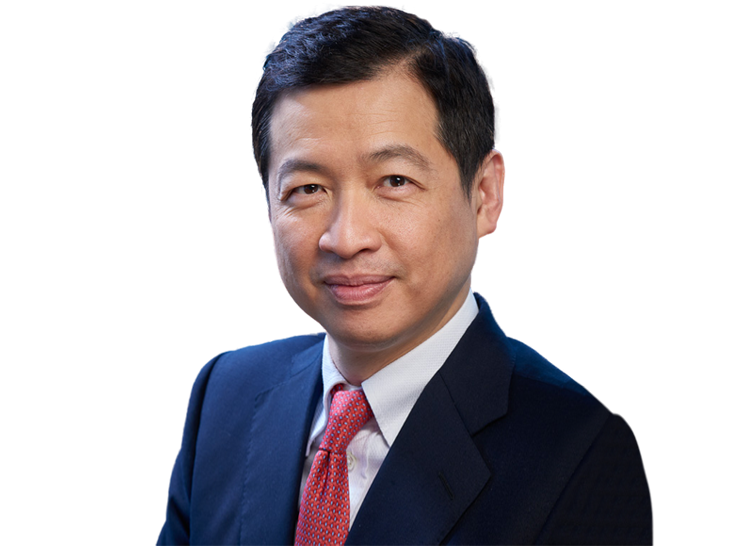 Mr Mok also represents high profile individuals and corporations in a large variety of cases ranging from corporate and commercial arbitration and litigation, probate and estate cases, matrimonial and guardianship dispute resolution, to regulatory and white-collar criminal investigations and arbitration proceedings. In the recent two years (2010-2011), Mr Mok acted for (among other clients) two of the Kwok brothers of the Sun Hung Kai Properties group of companies in an important matter; the father-in-law of Nina Wang in a probate matter relating to the estate of Nina Wang; a French bank (Natixis) in an arbitration against a mainland Chinese company on the financing of the purchase of a ocean-going vessel; Mr Peter Lee of the Henderson Properties group on a personal matter; Mr Chen Din Hwa of the Nan Fung group in a matrimonial case brought by his wife; the widow of Mr Chiu Yau Chuen, a property tycoon in Hong Kong, in a probate action; the Director of Immigration in a judicial review application brought by the Falun Gong; the Director of Highways and Director of Lands in another judicial review application brought by the Hong Kong Broadband; the Cheung Kong group in a matter relating to a property development called One Beacon Hill; an international firm of accountants on a disciplinary matter; the descendants of the founder of Po Chai Pill in a company matter against its directors; a barrister in a case for breach of confidentiality against a firm of solicitors.